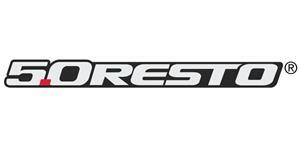 Enjoy a cooler quieter ride, plus block out damaging moisture with our Mustang door panel sound deadener set. When was the last time you saw a set of these on a Mustang? 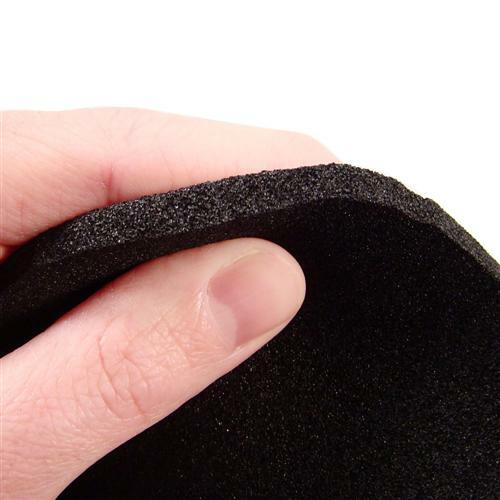 This is the sound deadener that attaches to the back side of the door panel & helps reduce the amount of road noise transmitted in to the passenger compartment of your Mustang. 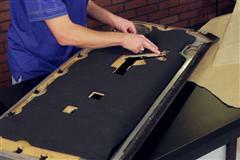 Most Mustangs either have severely damaged door panel sound deadeners or none at all. Make sure your Mustang is as quiet as it can be on the inside & grab a pair of our 5.0 Resto door panel sound deadeners today! These aftermarket sounds deadeners are very beefy at 1/8" thick and are a vast improvement over the stock pieces that your Mustang came with. 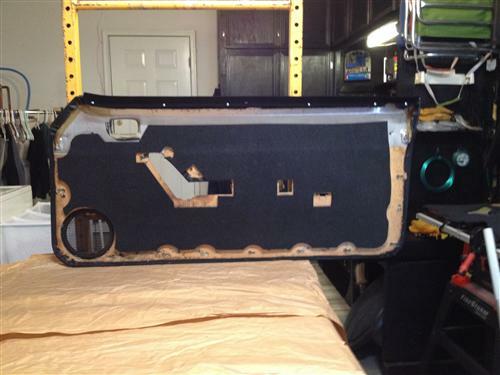 So even if your Mustang has the original sound deadeners behind the door panel you will enjoy a quieter ride when you install this new upgraded set.! Sold as a pair to service both doors on 1987, 1988, 1989, 1990, 1991, 1992, 1993 Mustang hatchback, coupe or convertible. They will also work on 1981, 1982, 1983, 1984, 1985, 1986 Mustang hatchback, coupe or convertible, but extra holes will need to be cut. 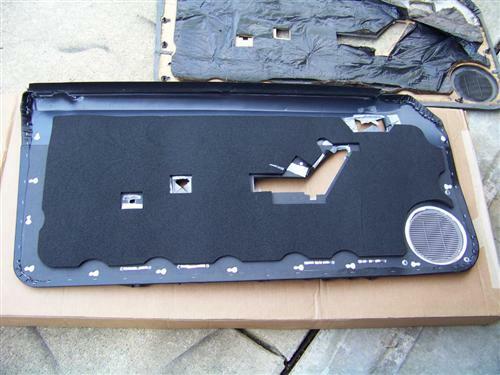 These are the door panel sound deadeners only, no adhesive is included. When was the last time you saw a set of these on a Mustang? 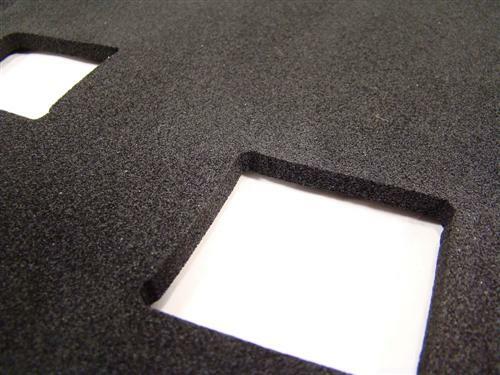 This is the sound deadener that attaches to the back side of the door panel & helps reduce the amount of road noise transmitted in to the passenger compartment of your Mustang. 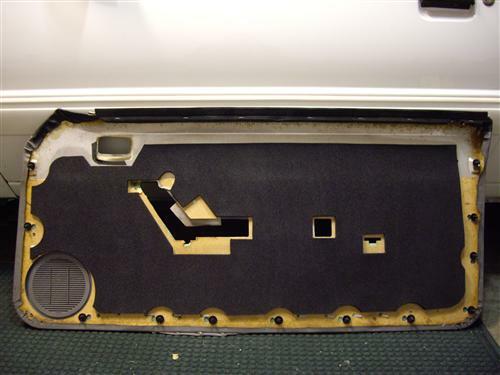 Most Mustangs either have severely damaged door panel sound deadeners or none at all. 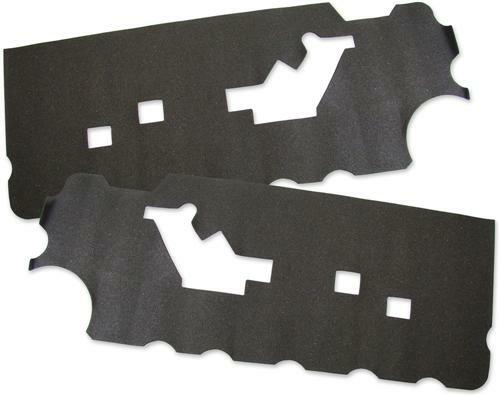 Make sure your Mustang is as quiet as it can be on the inside & grab a pair of our door panel sound deadeners today! These aftermarket sounds deadeners are very beefy at 1/4" thick and are a vast improvement over the stock pieces that your Mustang came with. 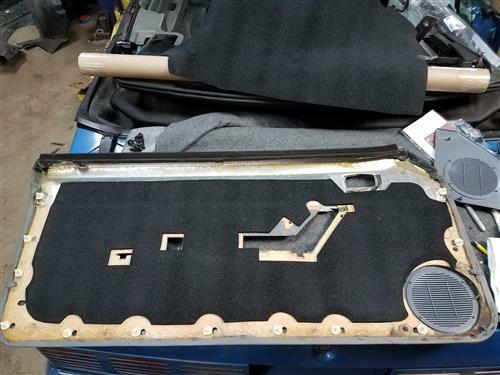 So even if your Mustang has the original sound deadeners behind the door panel you will enjoy a quieter ride when you install this new upgraded set.! 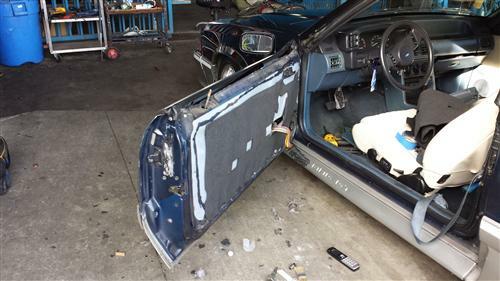 Sold as a pair to service both doors on 1987-1993 Mustang hatchback, coupe or convertible. 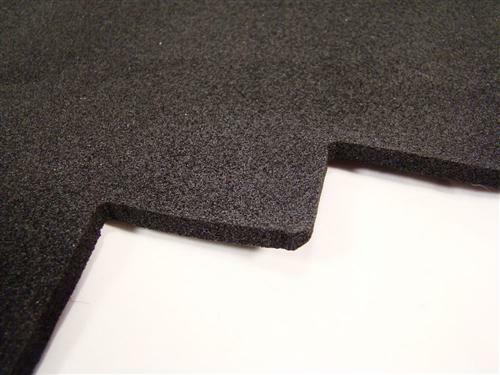 They will also work on 1981-1986 Mustang hatchback, coupe or convertible, but extra holes will need to be cut.